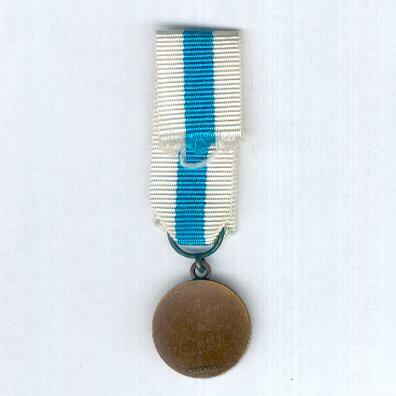 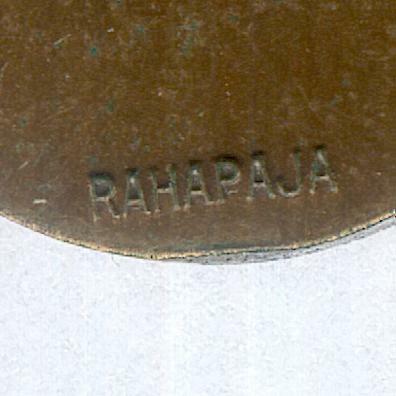 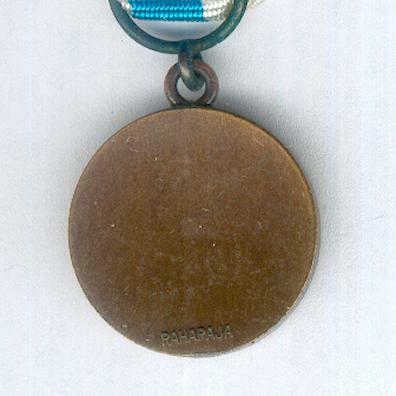 Miniature circular bronze medal with loop for ribbon suspension; the face with a representation of the Cross of Merit of the Reserve Non-Commissioned Officers Association, circumscribed ‘ANSIOISTA VAPAAEHTOISESSA MAANPUOLUSTUSTYÖSSÄ’ (Gratitude for Voluntary National Defence Work); the reverse concave, plain, with maker’s mark ‘RAHAPAJA’ of Suomen Rahapaja Oy (The Finnish Mint); diameter 18.04mm (0.71 inch); on original ribbon. 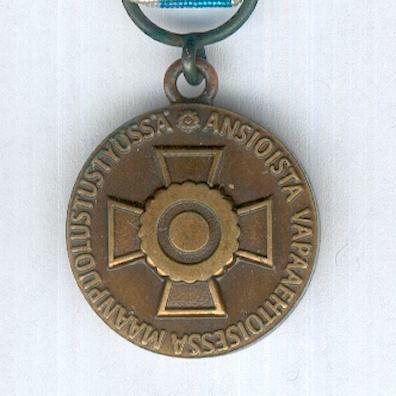 The Association was founded at Helsinki on 17 April 1955 with the aim of ensuring the military skills of volunteers are honed and developed and that the interests of veterans are represented. 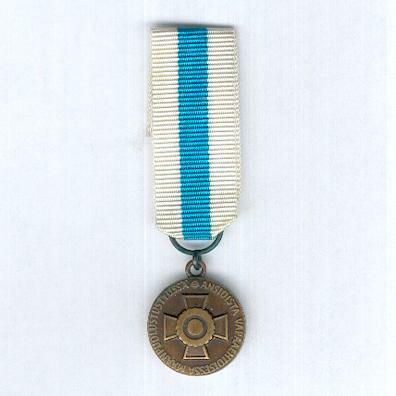 The Medal is awarded in three grades for meritorious work in support of the Association.